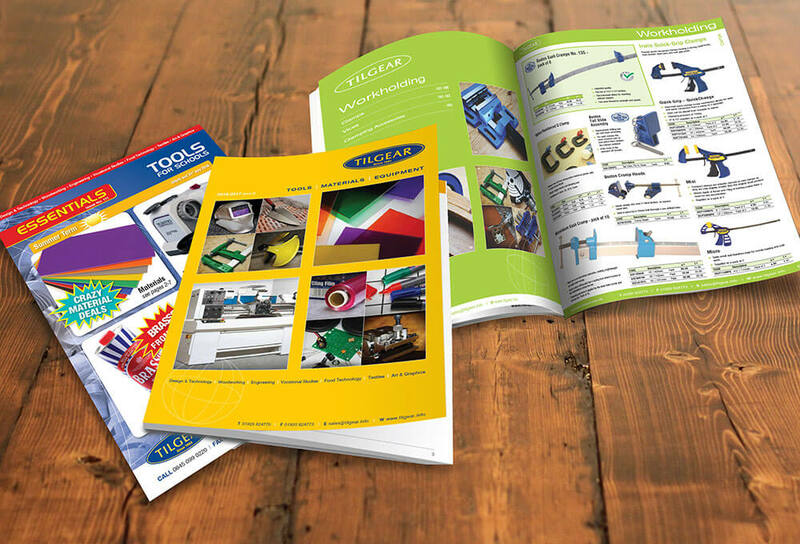 Tilgear mails out various catalogues and magazines, showing their massive selection of tools, machinery and everything needed in the Education and Training sector. They go out to most schools and colleges in the UK. The brief: To set up a 300+ page catalogue of photos, price charts and descriptions for the annual catalogue including photographic shoots. Also magazines and adverts to run throughout the year to back up the main catalogue.